I studied Sufism for a couple of years. 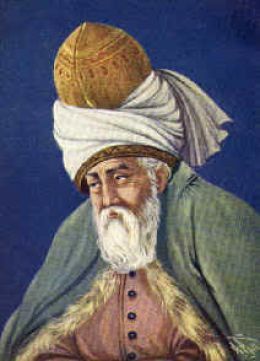 Sufis believe that mankind is God's lover, separated from God by a metaphysical curtain that cannot be breached until death. They believe that the heartache, the longing, so many people feel is the pain of separation a lover feels for an absent beloved. They also believe this pain is universal, that all men and women feel it, that there is no way to quell the longing for "home" until death brings us there. However, a heart meditation can provide some relief as it allows the meditator to connect with God at a more intimate level than does daily life. The reason I didn't stick with Sufism is that I don't feel that pain. The heart meditation did it for me. I made that connection and it's nearly always present—and if I forget it, once I remember the possibility the connection is reestablished. Really, it's not just a connection but an awareness that All, including me, is God. So it's not just a connection to God, but to everything. I don't have to go home anymore; I AM home. Because there is no where and no thing that is not God. So, how does one do a "heart meditation"? Lie down or sit back and close your eyes. Most of us picture our egos to "reside" behind the eyes. With your eyes shut, imagine your ego to be a tiny point, free to move anywhere in your body at will. Ride it to the heart cavity. Closely examine the bottom of your heart. Move around until you feel an intense feeling of LOVE. Try to hold that position as long as possible. Do this for 40 minutes. You may not hit that "sweet spot" on your first try, or even your second. It took me three times over as many weeks before I found it. But, omigod, when I did hit it—wow! Not only was the feeling intense and amazing then, but there were aftereffects: For days afterwards, whenever I was out in public, strangers on the other side of the street or store aisle would suddenly burst into smiles when they saw me, as if we were long-lost friends. That effect still happens whenever I do the heart meditation.